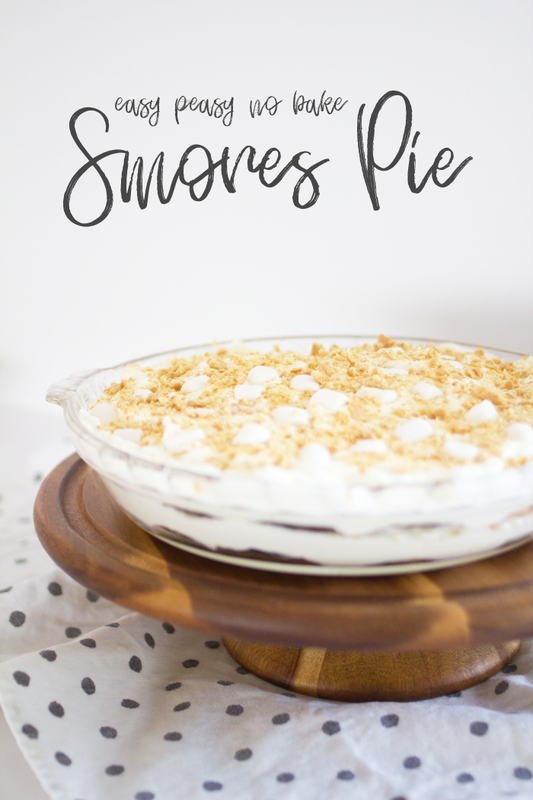 It may be officially fall, but here in Cleveland it still feels like the height of summer with temps in the 90s, which makes this easy peasy, no-bake s’mores ice box pie the perfect thing to make this week. 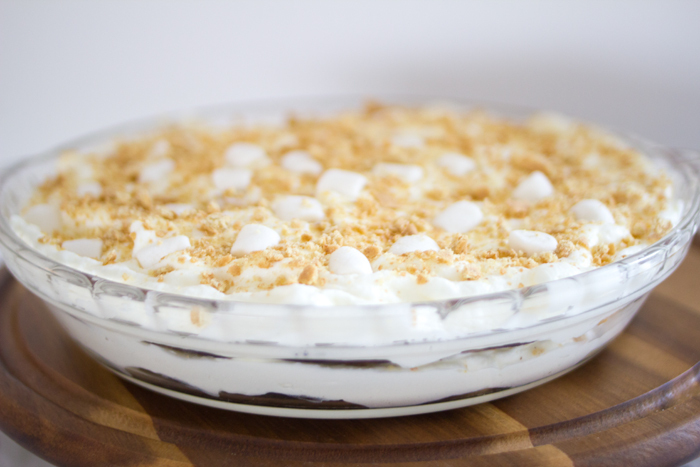 It combines all the best things — chocolate, whipped cream, graham crackers, marshmallow… and NO OVEN! You don’t even really need to measure anything! Now that’s my kind of pie. Growing up, my father had a few specialties in the kitchen. Very few. 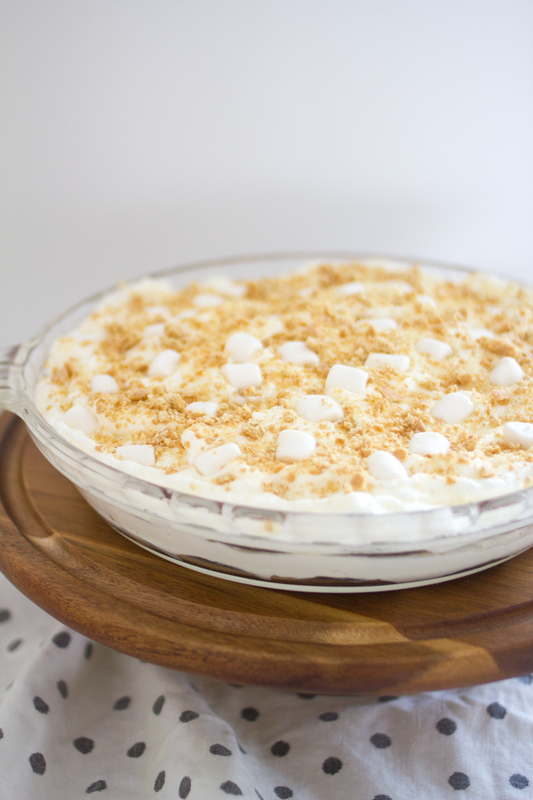 Besides grilling and making french toast, once every couple of years he would make an ice box cake with chocolate wafer cookies and whipped cream. When I saw that telltale yellow box of chocolate wafer cookies at my grocery store recently, I just had to get some, and I started imagining possibilities for taking the old recipe my father used (the one on the box, of course) to the next level … the s’mores level! 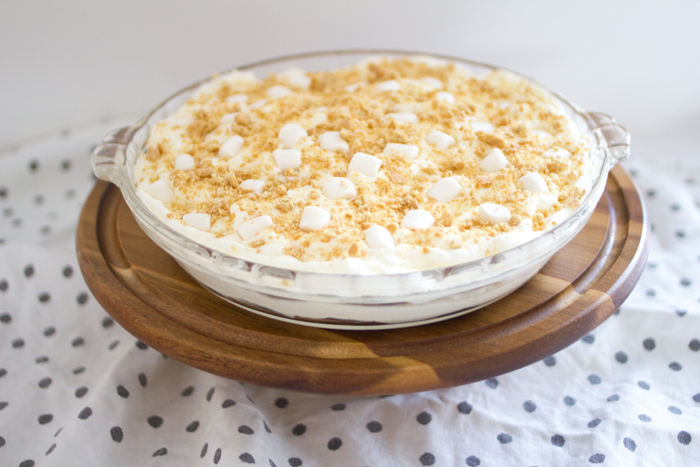 Layering the chocolate wafer cookies with whipped cream mixed with marshmallow fluff and then topping the whole thing with crumbled graham crackers and mini marshmallows creates a dessert that is like a big old slice of perfect, as far as I’m concerned. And it’s as easy peasy as it is good. I mean, just look at those pretty layers. The only hard part about this pie is the waiting! Since the whipped cream works to soften the cookies, the longer you can keep it in the fridge before digging in the better. I’d suggest waiting at least 24 hours if you can be so patient. I’d also suggest using any leftover cookies you may have to scoop up some of that marshmallow whipped cream as a snack. 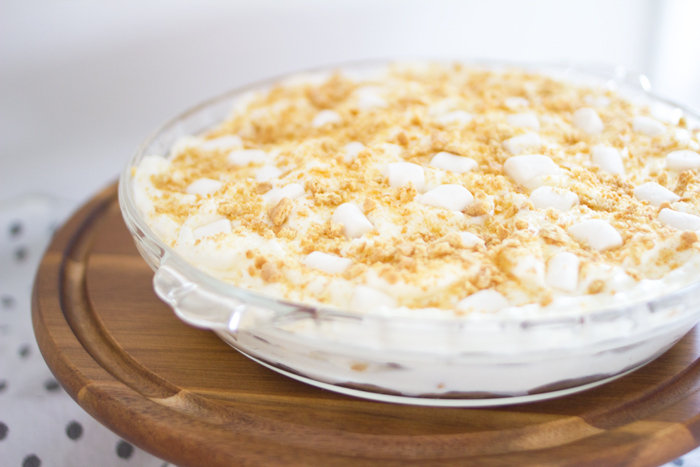 I also like to make the marshmallow whipped cream on its own as a fruit dip or waffle topping… so so good. 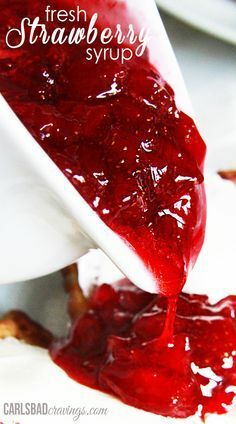 Add 2 cups of cold whipping cream into a chilled mixing bowl and whip on high until it forms soft peaks. 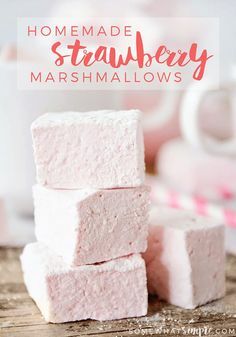 Fold in marshmallow fluff and whip just until marshmallow is incorporated. Start assembling the pie immediately. Put a layer of chocolate wafer cookies on the bottom of the pie plate. 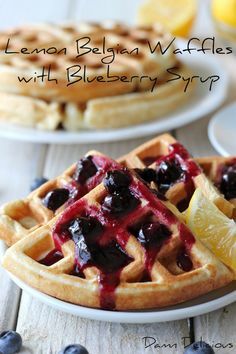 Cover with a generous amount of the whipped cream and spread evenly. Sprinkle with crumbled graham crackers. On top, sprinkle with mini marshmallows. Refrigerate for at least 4 hours, but 24 is best if you can be that patient! This gets better the longer it sits.